Arbutus Walk's trendy "DESEO" offers exceptional quality, value & superior design. 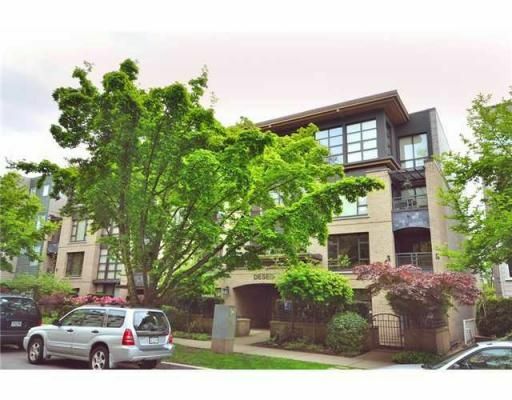 Wonderful 1 bedroom & den, with efficient open floor plan & gorgeous hardwood floors. Well managed, intimate strata development, in a rain-screened building. Arbutus Walk & Connaught Prk & plenty of shopping all within walking distance from the building. Main transit arteries, entertainment & wonderful restaurants. Walk to Kits Beach to soak up the sun & water! Lunch at Granville Island! Quick ride to UBC & Downtown! Fast walk to West Side private schools & Kits Secondary. Why would you live anywhere else? Includes parking stall & storage. Balance of New Home Warranty 2-5-10. Pets & investors welcomed! One dog up to 25 KG or one cat. Bring Fido home!